The Conrad Challenge brings science and technology studies to life through a student-driven, project-based approach. there are No theoretical tasks here! Students identify relevant real-world challenges that don’t necessarily have a clear answer and learn how to innovate by creating solutions. We give students between the ages of 13-18 the chance to become entrepreneurs and apply innovation, science and technology to solve problems with global impact. Guided by teachers and industry experts, the competition becomes a master class in collaboration, creativity, critical thinking and communication. The result: students develop skills needed to thrive in the 21st century workforce and bring to life commercially-viable innovations that have the potential to change life for the better on the individual, national and global levels. Students, teachers, experts and sponsors all agree… the Conrad Challenge is unlike any STEM competition out there. This isn’t a science fair. It’s an innovation competition that is creating the next generation of entrepreneurs who are going to change the world! Congratulations to the 2018-19 Conrad Challenge Finalists! Learn more about each of the student teams who will present their innovations at the 2019 Innovation Summit. Summit 2019 is just around the corner! 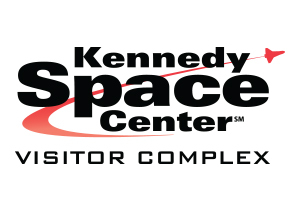 If you are joining us, make sure to check out all of the information surrounding the upcoming event on April 23-26 at the Kennedy Space Center Visitor Complex. Sign up with us today and be the first to hear about the next Conrad Challenge. want your innovations to go to space? Special thanks to all of our amazing sponsors, champion partners and media partners. The Conrad Challenge wouldn’t be possible without you! Learn more about our sponsors & opportunities to join them!